It pays to know a guy. And when you’re an American Express Platinum Card Member … you always know a guy. True at the airport, true on the ski mountain, and true at your correspondent’s favorite annual NYC fête/sporting event/institution, the US Open. American Express Platinum Card members get the royal treatment at the Open through the By Invitation Only program. Expedited entry. Access to the next-gen American Express Fan Experience — including a virtual-reality game that pits you against Maria Sharapova. 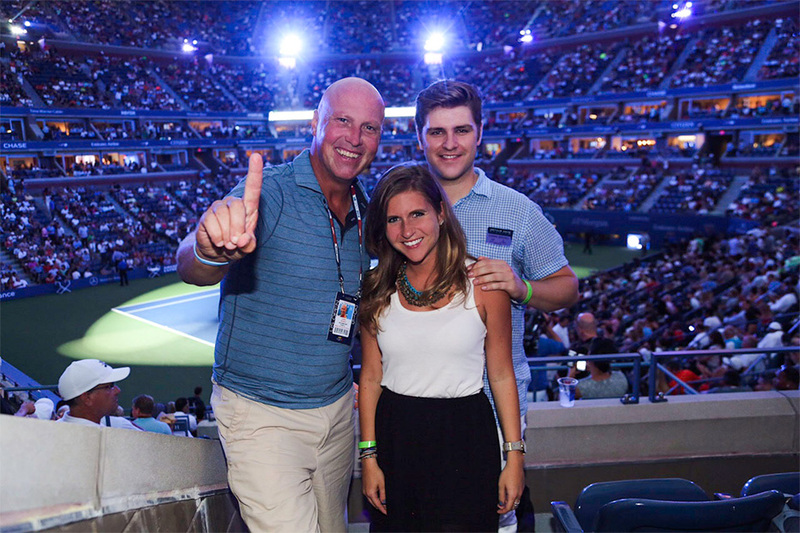 And a seat in Suite 105 at Arthur Ashe Stadium, where we were happily perched this past Monday for the Open’s opening night festivities. On an evening that saw Serena Williams kick off her campaign to become the first woman since Steffi Graf (1988) to win the Grand Slam, it was Croatian 18-year-old Borna Ćorić who stole the show, pushing two-time champ Rafa Nadal late into the night in a thrilling four-setter. Ćorić — who beat Rafa in Basel last October and is being tabbed as one of the next big things on the men’s tour — belied his 18 years with a valiant third-set comeback before eventually bowing out in a 6-2, 6-3, 4-6, 6-4 defeat. 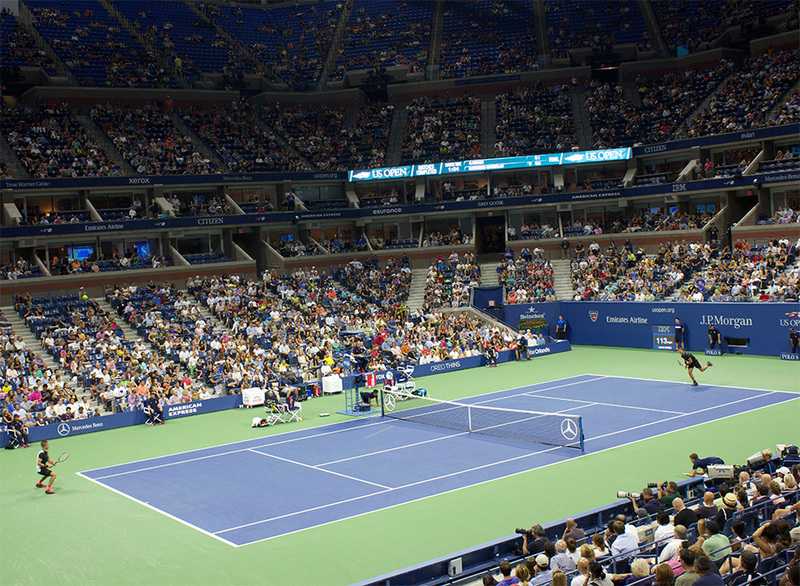 We watched both matches (as well as a delightful rendition of “Pure Imagination” from crooner Josh Groban) from 105, a handsomely outfitted box at Arthur Ashe Stadium’s southeast corner, about 20 rows removed from the point where the baseline meets the sideline. When we weren’t watching the match, we were hovering over the ample (and delicious) dining options inside, from fall-off-the-bone BBQ ribs to sliders to fried chicken and biscuits. Plus: an open bar that counted Ketel One, Tanqueray and The Glenlivet among its numbers. We even got to shoot the bull with former top-10 doubles player Luke Jensen, who stopped by to meet and greet the American Express faithful. Good guy. If one who expressed a little hair envy of yours truly. All you need to get a seat? An American Express Platinum card. Worth the price of admission, trust.